Discussions Magazine Music Blog: AM TAXI/We Don't Stand A Chance: Available June 8th, 2010! 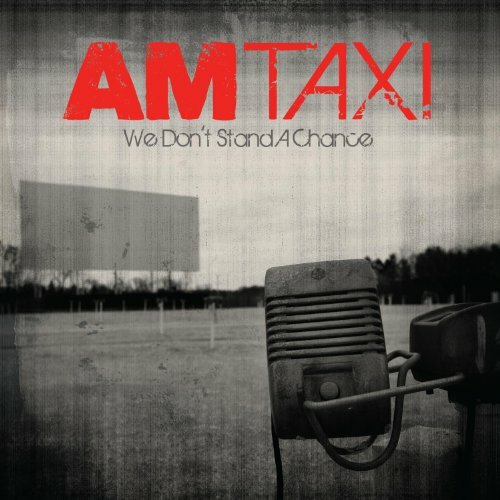 AM TAXI/We Don't Stand A Chance: Available June 8th, 2010! 2010 release from the Chicago-based trio. With a blend of old-school Punk, World Beat and modern Pop influences, AM Taxi combines experience with exuberance on We Don't Stand A Chance. From the Springsteen-by-way-of-The Hold Steady, 'Fed Up,' and the heart-on-the-sleeve Replacements-like confessional, 'The Mistake' to The Police-inspired World Beat of 'Dead Street' and the Clash-esque Reggae pulse of 'Charissa,' the group has one foot fi rmly planted in the classics and one right here, right now in the present.